Cantina hardwood floors offers 12 magnificent colors in maple, hickory and walnut with Urethane / Aluminum Oxide. Cantina hardwood collection is a wired brushed, hand-scraped and engineered plank with rustic, charming and affordable chatter. Armstrong Artistic Timbers hardwood is a weathered charm product which never goes out of style. In addition to Armstrong laminate, luxury vinyl, engineered stone and vinyl sheet, Armstrong offers a new wood collection called Artistic Timbers TimberBrushed. 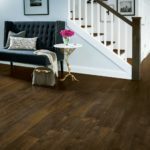 It is a new luxury weathered look with a brushed texture and 7-1/2″ inch wide plank. This product is a White Oak engineered ½ inch thick wood floor with micro-beveled edges and ends. Installation of Artistic Timbers Timber Brushed hardwood is easy and can be floating, glue or staple. Each carton contains 25.73 sq/ft. 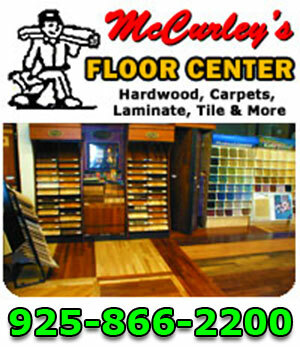 McCurley’s Floor Center, Inc. and MacFloor.com have been proud to offer Armstrong Hardwood Floors for many years. 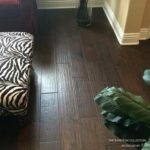 In addition to our national distributor channels, you can find Armstrong Hardwood products in our showrooms in the Northern California/Bay Area at San Ramon and Concord, CA. These showrooms display a large selection of Armstrong Wood products available for instant purchase or to be shipped nationwide. Now you can order your Armstrong flooring products through us with comfort of mind and pick from our 45 will call locations in the United States.